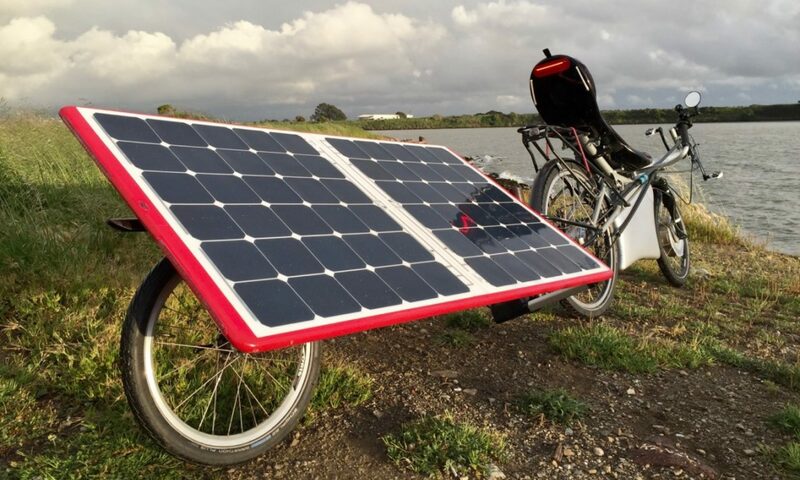 solar ebike – Yup. It's a solar powered ebike. Justin from Grin Technologies came down for Maker Faire back in May and shot a video for their YouTube channel. I think it turned out to be a better introduction for this project than anything I’ve produced. If this is your first visit here, I recommend starting with this video. Enjoy. In 2006, I completed a 2 month, 2000 mile (3200 km) fully loaded bike tour of Italy. I had a solar backpack to charge my phone and batteries for lights. When I passed through Cinque Terre, I noticed these solar panels on the roof of a train station and had an idea. Welcome Maker Faire visitors. I threw this site together a few days before the show so there’s no content yet. What would you like to see here? More photos? Videos? FAQs? Let me know in the comments or use the contact link. Here’s my maker page with some basics.